The attached image is just one example of the kits the student can choose from. Learn to color on any fabric, embroidery and twilling for accents. Erica will teach you how to color on any cotton fabric with colored pencils and set it forever, does not wash out. 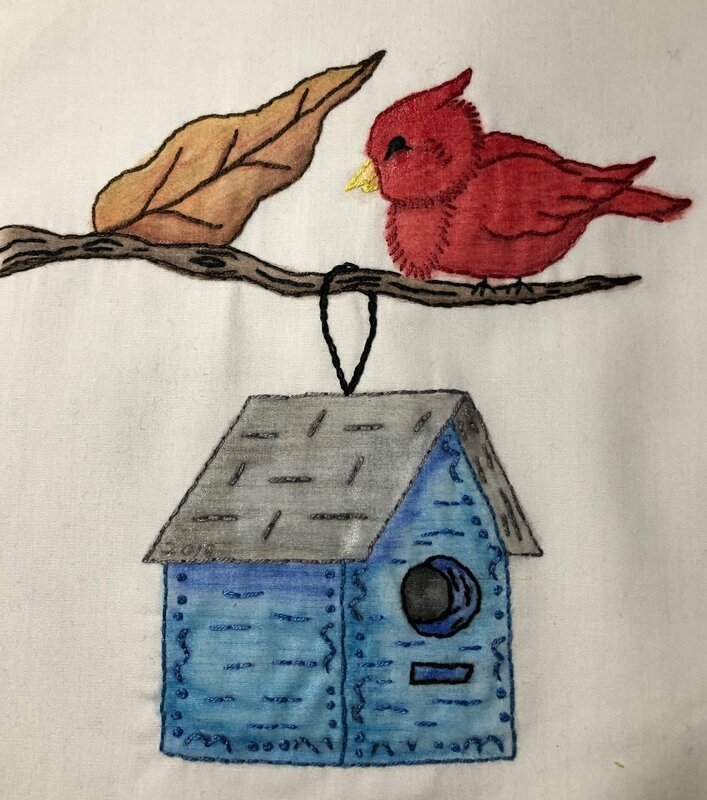 Never embroidered or twilled, she will also teach some simple embroidery stitches and the twilling technique for accenting. She provides the kit for the class. You will need to bring your own colored pencils and embroidery threads. We have hoops and twilling threads for sale in the store. It is a beautiful technique to make your projects unique! Bring your own colored pencils and embroidery thread. If you don't have an embroidery hoop, you can purchase one in the store. Twilling Embroidery Thread is available for purchase in the store.